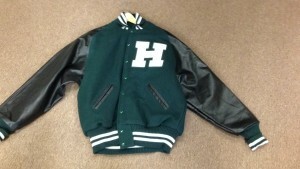 Thinking about getting a new custom school or group letterman / varsity jacket online? Nowdays, you don’t have to go to the local shop and pay a bundle for your custom school apparel. Buying your letter jacket online with a reputable retailer is more and more common practice. You can find just the right size, customization’s, colors, emblems, patches, and everything else you need without paying huge markups. The nice thing about buying your jacket online is that usually you can save anywhere from a hundred to two hundred dollars or more and get practically the same thing. 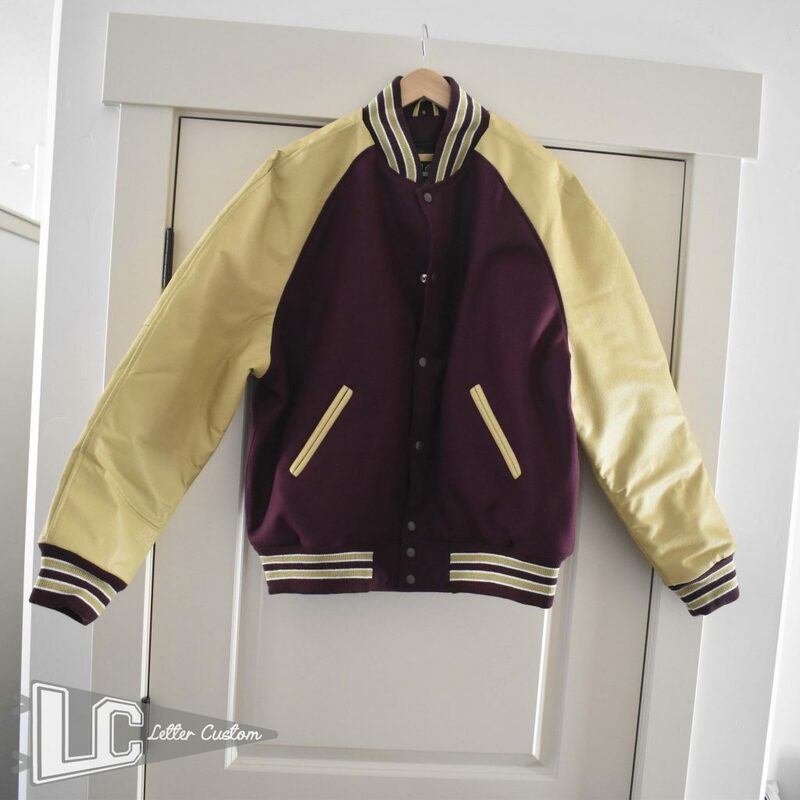 It might seem overwhelming to buy your letterman jacket online at first, but it’s actually pretty easy process and 15 minutes could save you – well not 15% on car insurance but literally hundreds of dollars. First of all make sure you are getting the right materials, you can get genuine real cowhide leather sleeves for about the same price as faux leather (pleather). It also lasts a long time. If you are a girl and getting an all wool jacket make sure the wool is good quality and authentic, ask for 24oz or thicker melton wool. Next make sure you like the collar type options. The most popular collar types are stand up or rollover knit but there are several different sorts that can match your personal preference. Find a company that offers you a realistic mockup design of your customized high school jacket so that you know exactly what it will look like. Also check out the size charts which should be easily located on the website. 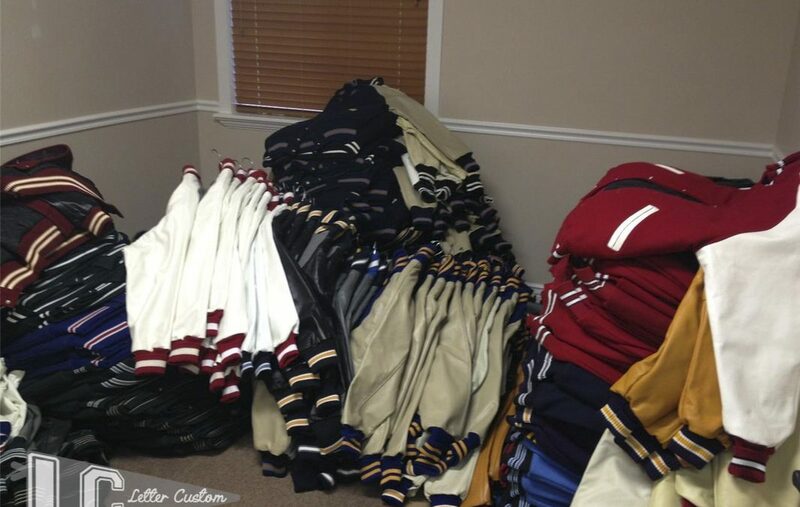 We recommend VarsityThreads for group orders and LetterCustom for individual jacket orders. Both offer fantastic service, quality, and customization options. Buy direct and save! See the next article for tips on getting your custom patches easily and more affordably.